Well, everyone would certainly agree that the bathroom is a vital place in a home. But you will surely be mesmerized to see that some homes not just value their bathrooms but also show their personalities through how it is designed. 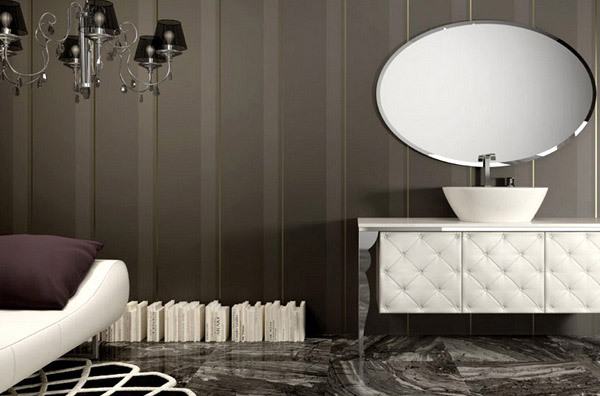 There are bathrooms that are as huge as their bedrooms and are filled with elegant furnishings. Some even have a sofa and a television set inside it. They make their bathroom a place where they can surely be comfortable. Luxurious bathrooms are not just very elegant and sophisticated but they also make use of high-quality bathroom fixtures and accessories. 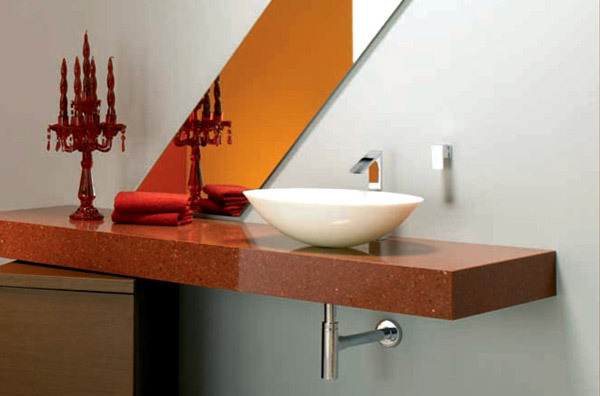 It is not just the design that makes it luxurious but it is actually the fixtures that are in it. Branchetti collections make use of shapes, cladding materials and color schemes that interpret an intimate environment to create different atmospheres to suit the homeowner’s varied tastes. 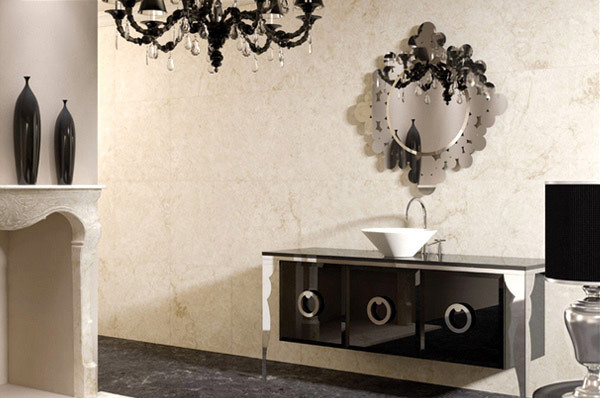 An elegant luxurious bathroom with glass and marble making it look sophisticated. A lavatory that looks simple but elegant with its usage of high-quality materials which makes it look more first class. 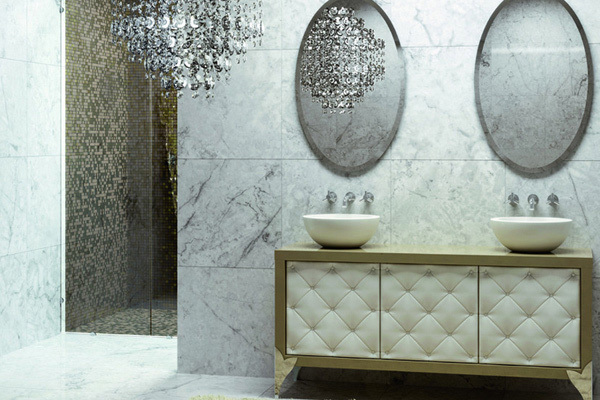 Crystals and light shades comprise the design of this bathroom for an alluring look. 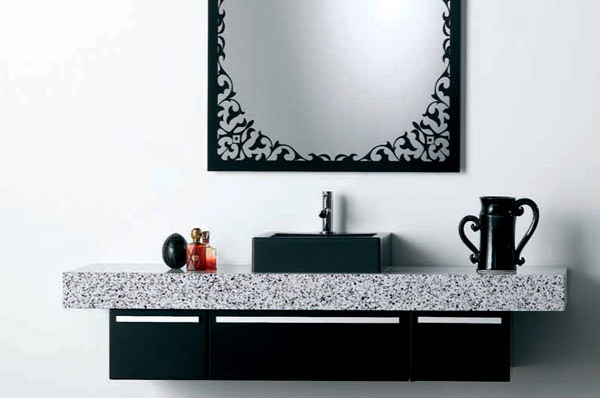 This time, black crystals and glass are used for a stronger impact yet maintaining the luxurious feel. Decorative glass used in the mirror and an elegant lavatory is the focal point of this bathroom made more beautiful with the crystal chandelier. 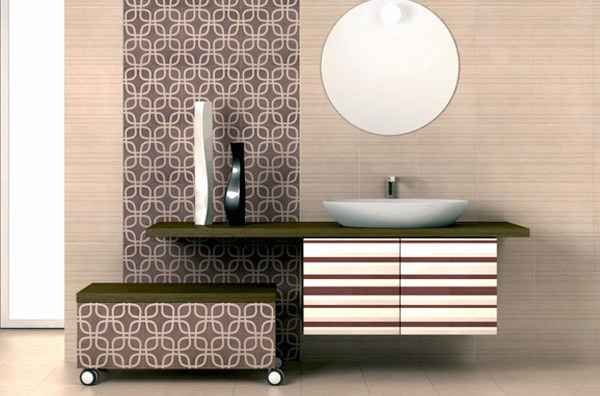 A bathroom design that uses lines and geometric patterns for a more modern design. Express your creativity with this lovely black and white floral ceramic pattern that can surely make your bathroom exceptionally good looking. 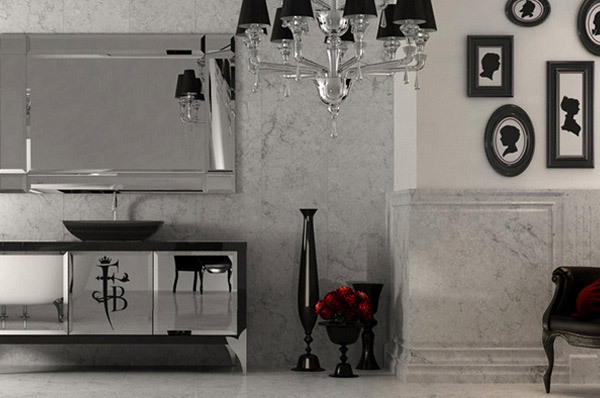 A classic minimalist design with black and white hues for a retro atmosphere. This stylish bathroom combines classic and modern touches. 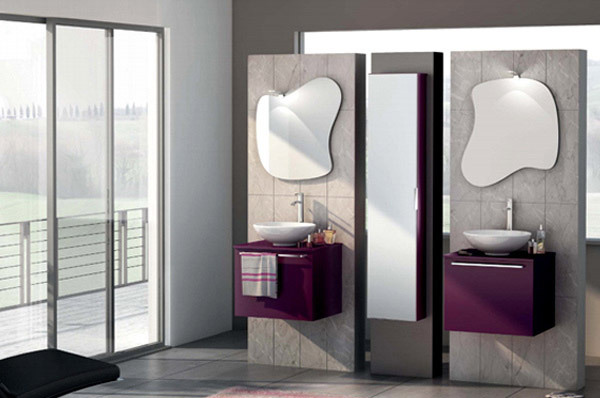 A beautiful bathroom with shades of purple and a uniquely shaped mirror that sets it apart from other bathroom designs. A bathroom that gives you everything you need including the comfort and relaxation that you seek. 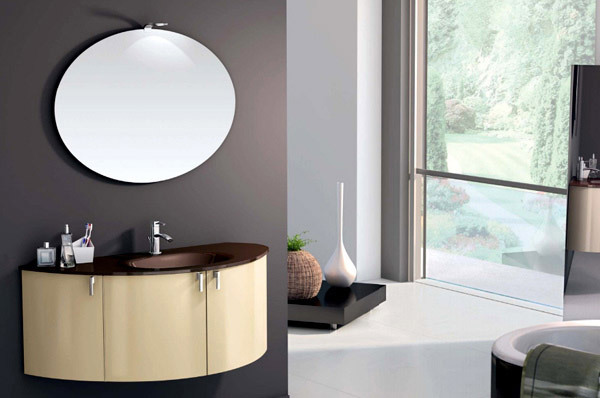 A stylish lavatory partnered with a circular mirror makes this bathroom look totally attractive. A modern bathroom design that shows a unique lavatory with warm shades. Branchetti – fbranchetti.com furnishing lines interact with customary gestures in a harmonious everyday choreography. Their products have different attitudes, character and individual balance that could create various styles as it comes in 120 different colors. 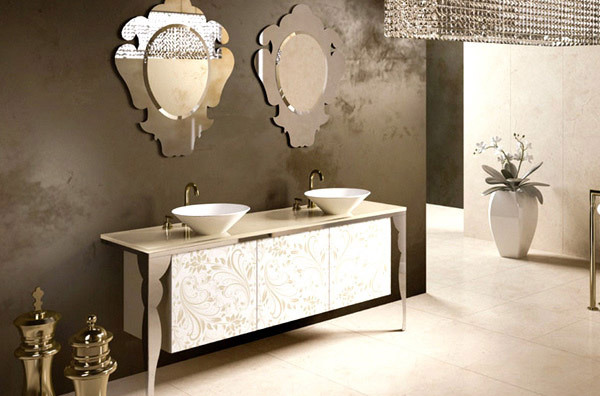 Combining Branchetti furnishings and adding some elegant accessories can surely give you a shockingly eye-catching bathroom design. For sure, you were totally inspired with the luxurious bathrooms of Branchetti. Yes, everyone wants to have bathrooms like that. 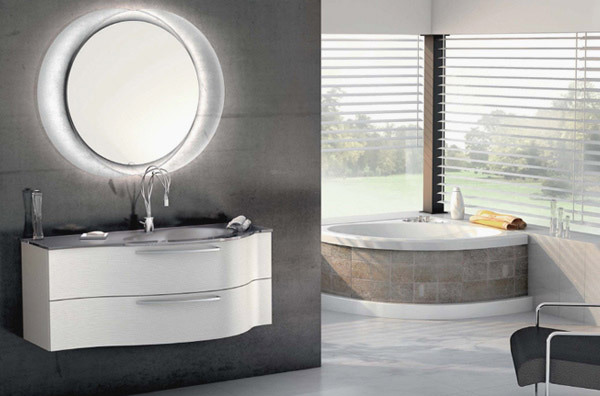 You might also want to see the Axor Bathroom Collection which gives a different personality to every design they have. Also, try to check out other bathroom design ideas we have for you.